London, United Kingdom & Clearwater, FL – XChange US and XChange UK are currently offering conventional, digital and hybrid printers free consultancy and productivity audits based on their specific needs, demonstrating solutions that can assist them in staying competitive in the industry as well as increasing their profits. XChange offers workflow automation solutions that allow print companies of any size to do more with their existing software. These fully customizable solutions avoid bottlenecks and streamline workflows, and can be integrated into any existing production environment. They save valuable time and resources, boost production efficiency and enable greater throughput with enhanced customer satisfaction and retention. “Printers today all face the same challenge: How to grow in a highly competitive market with thinner margins, increased customer service demands and in many cases reduced staffing levels. Current market conditions put incredible pressure on companies to try to find a way just to stay in business, much less increase profits,” states Tami Stodghill, XChange Press Relations Manager. By offering a personalized consultation and speaking with printers about their specific needs, XChange finds most printers are amazed to find how much more they can do, enabling them to expand their customer base, offer more competitive pricing and reduce errors. XChange also offers information regarding the Return On Investment when implementing these solutions, providing a clear picture of just how quickly printers can start saving money using their workflow investment. In most cases, printers see a complete return on their investment within the first few months and going forward, they are much more profitable and are able to add services to their offerings. 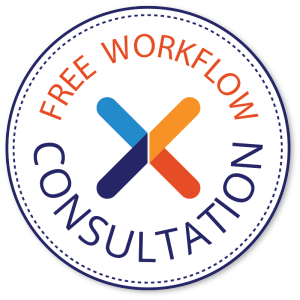 Printers who wish to take advantage of the free consultancy can contact either XChange US or XChange UK and the consultancy session can be scheduled at their convenience. XChange US and XChange UK are leading suppliers of PDF workflow and automation tools, creative and publishing applications and extended technology products. They source productivity enhancing software from across the world specific to the print, production, publishing and creative industries and offer them to an extensive user base via their web site. XChange also provides consulting, integration and training services for the products they recommend. Carson City, NV, USA – XChange US is excited to announce the winner in their automation software and integration giveaway competition that was held in conjunction with the launch of their new web site late last year. 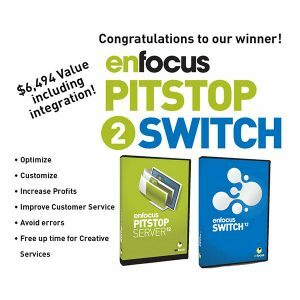 The prize pack includes a free Enfocus PitStop2Switch Bundle valued at $5,099, and includes a day of integration and consultancy services valued at $1,395.